*This book is an ARC and is subject to change. The final edition will be out in May. As Claire is initiated into the pack of female werewolves, she must deal not only with her changing identity, but also with a rogue werewolf who is putting everyone she knows in danger. Claire's new life threatens her blossoming romance with Matthew, whose father is leading the werewolf hunt. Now burdened with a dark secret and pushing the boundaries of forbidden love, Claire is struggling to feel comfortable in either skin. With her lupine loyalty at odds with her human heart, she will make a choice that will change her forever? I did enjoy this book, but I wouldn't say that I loved it. It had a good plot with cute characters, and I had fun with it. The werewolves weren't incredibly original, but Johnson did add a couple new factors. For instance, werewolves are only female, which I thought was interesting. The writing wasn't half bad. Johnson has a way with language, and she makes her writing appeal to teenagers. The plot was entertaining, and it kept you guessing up until the very end. In my opinion, the second half of the book was better than the first. 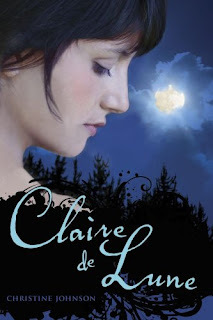 By then, Claire had more depth and the story was more developed. Okay, this probably wouldn't bother some people, but as a Christian reader, I have to comment on this. In many fantasy novels, there are multiple gods and goddesses, and I'm fine with that as long as no one ever denies the existence of God entirely. There is one part in this book where Claire's mother clearly explains that God does not exist, and that bothered me. The romance between Claire and Matthew was really cute. For once, the girl ends up with the sweet, wholesome boy instead of the dark stranger. He treated her with respect, and there were many parts that just made me go "awww." Even so, there was bit of forbidden romance mixed in, which I liked. I would recommend picking this book up if you happen to see it. It comes out in May. It's simply a nice supernatural romance with fun characters and a good mystery. *Received on tour from Jami at YA Addict. I'm with you on the gods thing. That would bother me too! I mean, in the PERCY JACKSON series, it's *about* the gods and goddesses and Chiron even says that there's a difference between "those gods" and like, "God" God. Good review. I agree with you about the "goddess" thing. I didn't like that part. 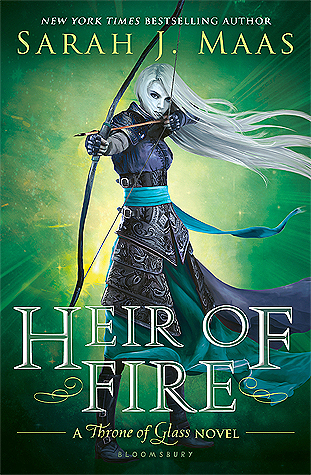 I enjoyed the first book and I think the books will get better as the series goes along.